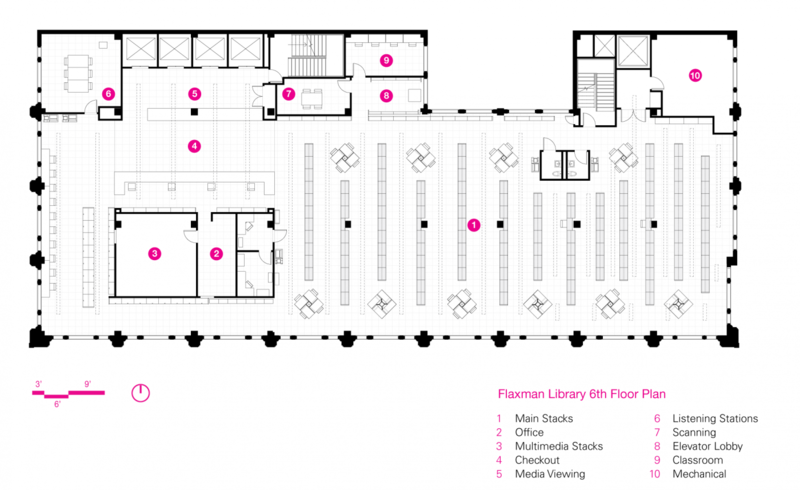 The design and construction team worked within strict budget and time constraints to renovate the Flaxman Library for The School of the Art Institute. 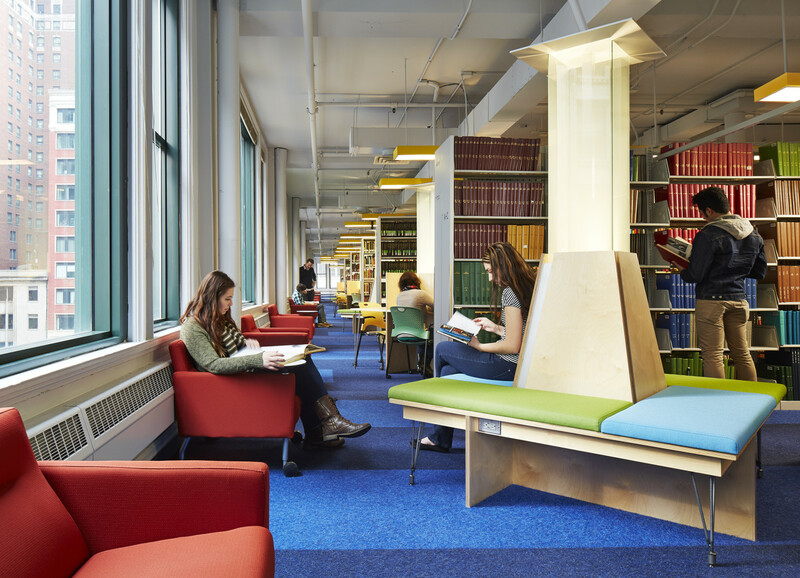 By using Integrated Project Delivery (IPD) methods, the team ensured that the work could be completed during a compressed schedule in the summer to minimize the effect of the renovation on students taking summer classes. 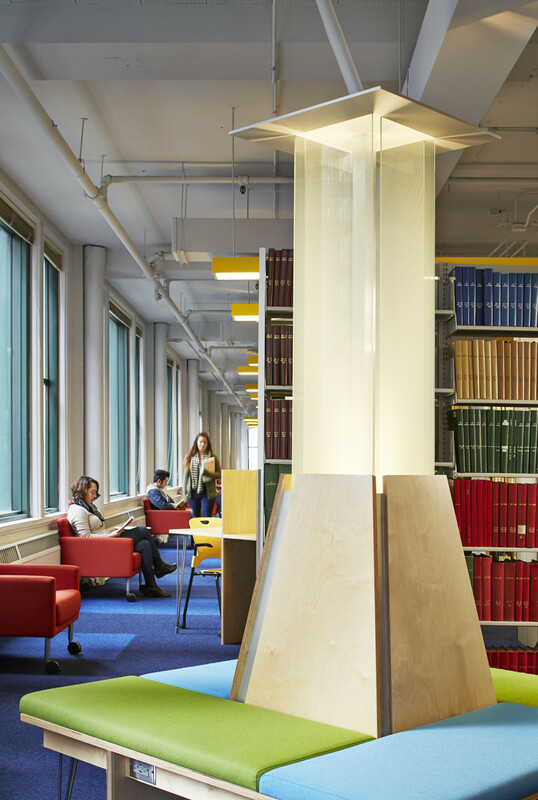 The renovation prioritized reuse and reorganization of existing equipment and materials, the use of inexpensive materials to ‘skin’ items like lights and existing millwork panels, and the careful design and deployment of new millwork elements to revitalize the space. 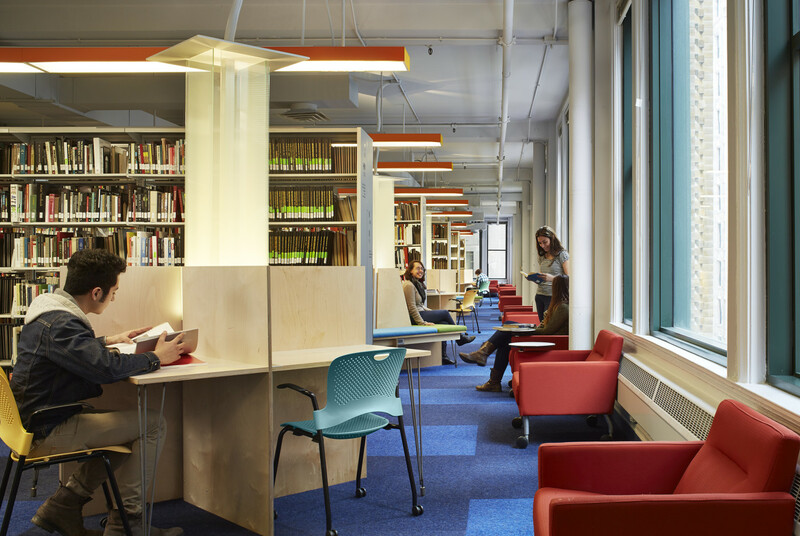 The result is a spacious, clean, reorganized library space that eliminates visual obstructions at the perimeter of the building and allows light, airy, gathering spaces. 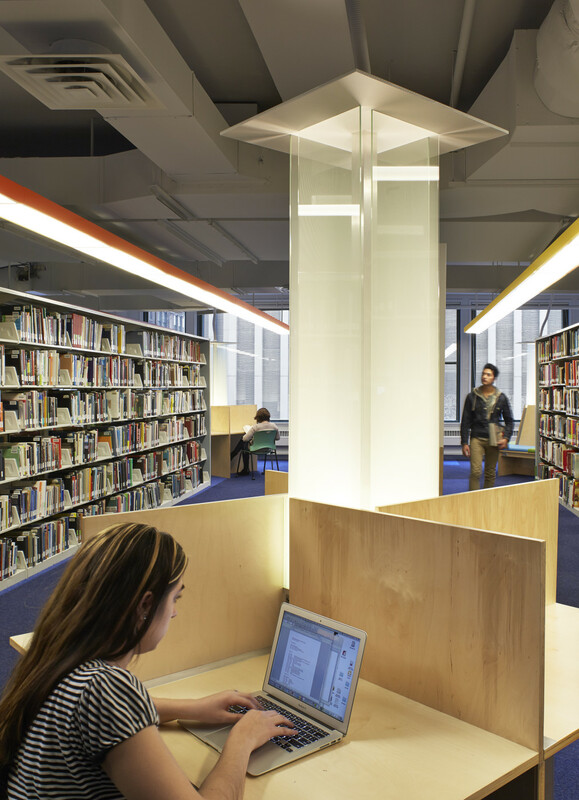 Since the budget would not allow new lighting, the team used the existing lighting layout as a framework for reorganizing the stacks to create a cleaner, more rational layout for the collection. 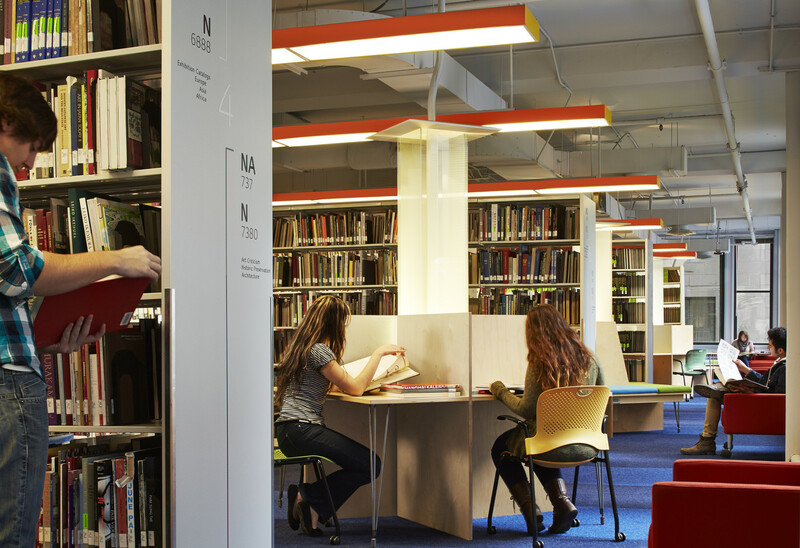 The design additionally includes new study carrels that provide power and wired internet connections for students, as well as outward-facing furniture that prioritize the tactile, physical experience of the books, periodicals, and other objects in the library.